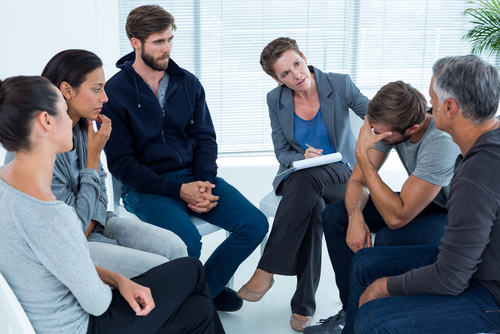 When we think about an intervention event, we often imagine this scenario: A group of caring family members and a certified interventionist assemble in a room for the purpose of steering a suffering loved one into a treatment program. While not inaccurate, this scenario represents one of many intervention methods used to help a struggling addict to decide to seek treatment. The professionals at Hired Power can help an addict’s loved ones determine the safest and most effective ways to get the addict into treatment and receive the care that is so desperately needed. Interventions are staged in countless configurations, and to summarize them all would require a great many pages. However, the vast majority of interventions will fall into one these three approaches, or models: The Johnson model, the ARISE model, and the Family Systemic Model. Keep in mind that no one of these approaches is inherently superior to the other, and that they all share some characteristics in common with each other. The Johnson Model is perhaps the most commonly used for the planning and execution of an intervention. In this model, the focus is on educating a caregiver (parent, spouse) on confronting the addict and providing motivation for seeking treatment. The caregiver is instructed by a professional on how to gradually help the addict understand that a problem exists and begin to see that treatment is best of all possible outcomes. Underpinning this approach is the idea that someone in active addiction is more likely to become open to treatment if eased into the idea by a loved one (the caregiver). After the initial meetings with the interventionist, the caregiver then contacts people in the addicts social network who are interested in seeing the addict recover. This social network is provided guidance on how to gently pressure the addict into understanding he or she is sick and in need of treatment. ARISE Interventions represent a kind of alternative to traditional approaches like the Johnson Intervention. In an ARISE intervention, the addict is drawn into the intervention plan from the very start. No secret meetings are held to plan out the intervention. Instead, the addict, the addict’s support network, the caregiver and the professional interventionist all work together to help the addict. In this way, the addict’s friends and family and the addict work together to find a solution to the addiction problem. The objective of this collaboration is to treat addiction as a “family disease,” one in which the addict’s loved ones are perceived as also being sick and in need of healing. A successful ARISE intervention results not only when the addict begins a treatment program of some kind, but also when the addict’s family members become better able to understand how live with an addict and support the addict’s recovery. The Family Systemic Intervention model shares many similarities with the ARISE approach. Like ARISE, the Family Systemic model includes both the family and addict in the intervention right from the beginning. The goal of this model is help the family and the addict understand that the addict’s disease cannot be treated in isolation. Rather, the family and the addict receive therapy together and seek to improve how the family functions as a unit. The immediate goal is to stage an intervention in which family members are encouraged to explain how the addict has harmed them. Oftentimes someone in active addiction—no matter how wretched their circumstances—will for various reasons refuse to seek treatment on their own. However, these same addicts—after hearing about how they hurt their loved ones—are consequently much more likely to accept that treatment is the best and most positive option available to them. Ultimately, it is for the family to decide whether to develop an intervention plan, and Hired Power is here to help them with that decision. The reality is that not all addicts need a formal intervention to get them to acknowledge that they both have a problem and need help. Interventions are best-suited to those in active addiction who are in denial about their disease, or are simply too afraid to seek treatment. Interventions are also sometimes necessary for addicts who have a co-occurring mental illness. It can be difficult for them to think clearly and trust their thinking, both of which can be barriers to starting the recovery process. In any case, Hired Power can help you decide on the best way to help your loved one get the help he or she needs.